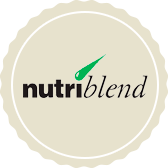 Nutriblend | Willard Agri-Service of Frederick, Inc. 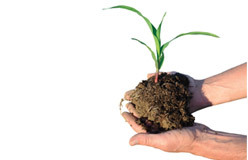 Your farm and fields are all unique and have specific nutrient requirements to maximize your profitability. Willard Agri-Service has a 45 year proven track record of being the industry leader in customized liquid blended fertilizer. We can deliver or apply these nutrients to your operation on a field by field basis that drives your cost per bushel down and your profits up. Expert agronomic recommendations from the most experienced team in the business, supported by first in class logistics, define our Nutriblend line of plant food. 18 years of High Q community data clearly shows one Known Known as you improve uniformity of a crop, you improve yield and reduce risk! That is a winning combination at any commodity price. Sleep better at night knowing you are getting the best possible return on your plant food dollar with Willard Nutriblend fertilizer. As you can easily see, these different densities can cause tremendous stratification during transport as well as big differences in spread distance and pattern when hitting a spinner blade moving at a constant rate of speed. These differences result in LESS uniformity in any given field. Using High Q data on Wheat as an example you can begin to quantify the advantage of liquid fertilizer. For every % point increase in uniformity, on average, yields increase 1.3 bushels. Using liquid fertilizer feeds your crop consistently and evenly and maximizes the uniformity potential of any given field. Include High Quality Boron with your first N/S application. Replicated research by Ron Mulford, University of Maryland showed a 3.9 bu/acre yield increase by adding Â½ lb/acre of elemental boron to your 1st topdress application. This is supported by 22,467 acres of High Q wheat data showing a 5.95 bu/acre average increase. Not all sulfur sources are plant available when soil conditions are cool. All Willard small grain N/S solutions are blended using pure 100% ammonium sulfate that drives higher attainable yields. Replicated University of Maryland research shows an 18 bu/acre advantage to Willard sulfate sulfur over just 30% nitrogen alone or blends made with less available sulfur forms. Research from the University of Illinois on the uptake and remobilization of nutrients by high-yielding corn hybrids is shaking up conventional wisdom on how corn uses key nutrients. Among the most surprising revelations arising from the study is the volume and use pattern of sulfur, according to crop physiologist Dr. Fred Below. Since the last deep studies into the uptake and partitioning of mineral nutrients by corn in the 1980s, average yields have risen by more than 50 bushels per acre. The devastation once wreaked by corn rootworms has been held in check on millions of acres by bacillus thuringiensis (Bt) traits, Below notes. Those changes in the crop made it important to understand changes in how it grows, he says. Sulfur has a high harvest index, which is defined as a nutrient that is vital for grain production and that ends up being exported with the harvest. Willard Agri-Service uses ammonium sulfate which provides sulfur in the sulfate form. This fertilizer is immediately available to plants. Dr. Below warns that decreases in the atmospheric deposition of sulfur as a result of the Clean Air Act, along with unprecedented levels of nutrient removal by high-yielding crops, threaten to leave many soils sulfur deficient. Potassium: In addition to sulfur, potassium is crucial. Applying additional K with nitrogen during side dressing and fertigation will help support the ratio of uptake needed for maximum yield. See Dr. Flannery’s research below. To support efficient nitrogen uptake we recommend “The Finisher”. A high quality, balanced mix of N, K, S and B that is sure to boost your corn profitability.